Fjallsjökull is another glacier tongue of the Vatnajökull. Some of the ice is covered in dust and sand, producing marbled icebergs when it calves in to the large lake at its ice face. After we left Jökulsárlón, we stopped at Fjallsjökull, which also has a large lake at its ice face. Here the roughly 60-90-foot-tall ice face is clearly visible. We climbed onto Skaftafellsjökull, but we did not dare go much beyond a few feet onto the ice. 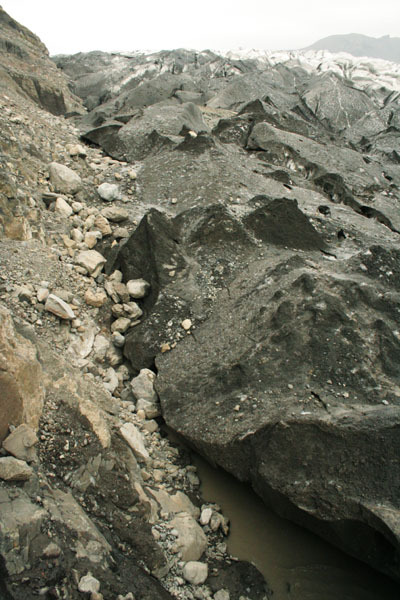 The ice is covered in dirt and rocks here, and it is very treacherous and slippery. 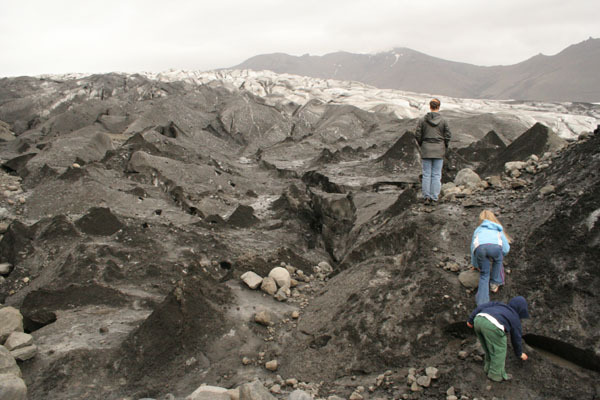 The icefront of Skaftafellsjökull can easily be reached from the parking lot at Skaftafell (more). You can get right on the ice, and when I stood there I felt like I could almost feel the ice grinding along the rocky mountain slope. 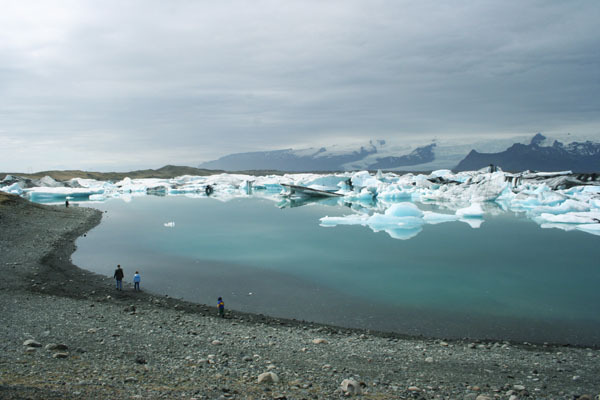 Jökulsárlón is a glacier lake just off of the ringroad. 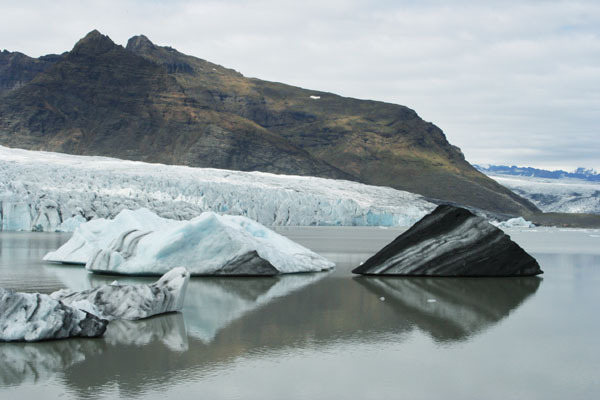 The lake is one of the deepest lakes in Iceland and it is filled with icebergs calving from Breiðármerksjökull glacier. When we got there it was cloudy and a bit chilly. After an hour the clouds began breaking up and the sun lit up the icebergs dramatically against the cloudy, dark mountains. 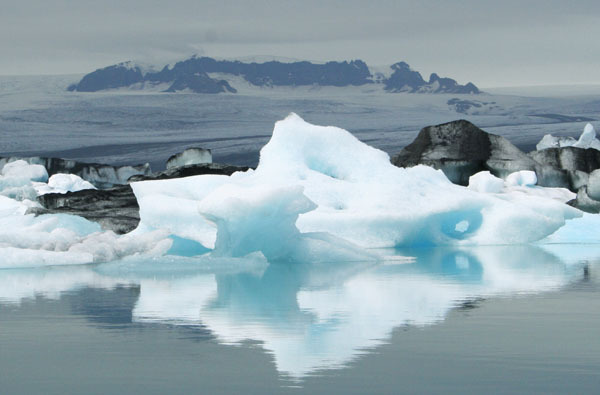 Ten percent of Iceland is covered by glaciers. 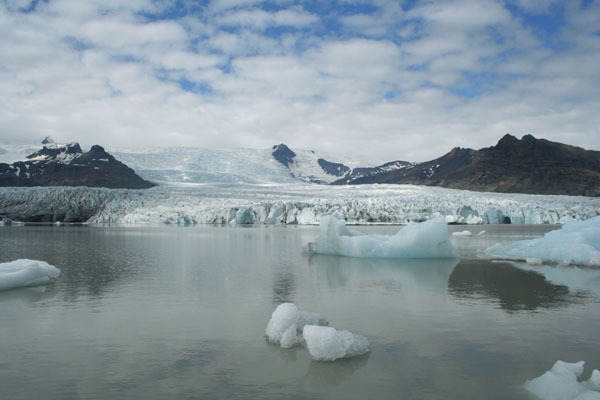 Vatnajökull is the largest glacier on Iceland and the third-largest in the world (in volume) after Antarctica and Greenland.